This photo shows a bus at 6th and Locust, the same spot of the former St. Louis Centre and where the MX complex now sits in the early 1970s. 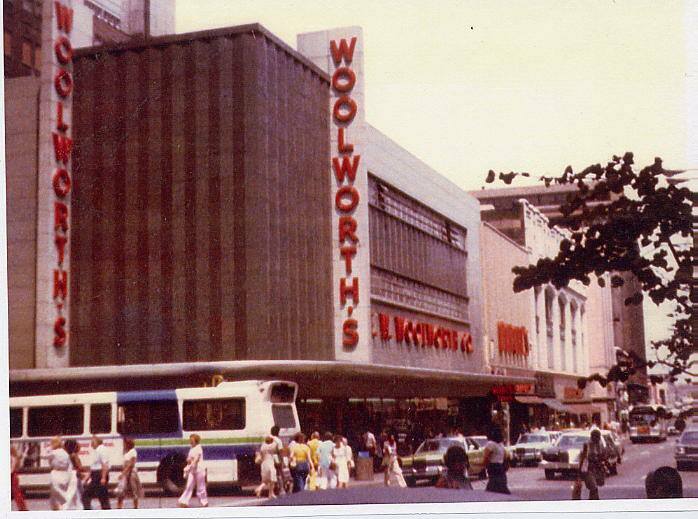 Did you ever shop at Woolworth’s? It seemed like the happening place.